February 24, 2014 /0 Comments/in Diabetes /by Jenn F.
Writing for Nursing In Practice magazine, Margaret Stubbs shares her experience with two diabetic patients who recently endured amputation surgeries. “One joined the practice having already had four toes on his right foot amputated, and a subsequent postoperative infection,” she writes. The other patient recently had two toes amputated. “It somehow can feel as though we have failed,” she says. But how can nursing staff prevent diabetic foot amputations and improve outcomes, she wonders? Compliance and vigilance at home are two big issues. We find that, if given easy-to-use tools — such as the SteriShoe UV shoe sanitizer and smartphone monitoring apps — diabetics can greatly reduce the likelihood that they’ll encounter complications requiring major surgery. A UV shoe sanitizer protects the feet from bacteria colonies. The cause of diabetic foot ulcers is clear: infection. Bacteria invades the body through a break in the skin. Since diabetics generally have poor circulation, the wound is slow to heal. More bacteria gets into the wound and it festers until the whole foot succumbs to the invasive pathogens, leaving no other option but to amputate. While keeping all bacteria off the feet may be an impossible feat, limiting the amount of harmful bacteria the foot comes into contact with is essential. Staph is one of the common culprits to cause amputation-worthy infections. The SteriShoe UV sanitizer is a device that has been clinically tested to kill staph and other gram-negative bacteria within 45 minutes. Diabetic users simply place the UV light wands into the shoes, cover the shoes with the provided shoe bags, and click the “on” switch. Using this device nightly keeps footwear sanitized to reduce the odds of infection. Mobile health apps have proven very beneficial to patients. A study published in the February 2014 issue of Health Affairs found that a mobile health app greatly improved diabetic foot health outcomes and reduced healthcare costs for 75% of the 348 patients who participated in the program. The mobile health program sent patients 3 or 4 automated text messages about self-management throughout the day. For instance, they might say, “Time to check your blood sugar” or “Have you checked your feet for cuts today?” Other messages included educational tips about nutrition, exercise, medications, and foot care. If patients did not respond, a nurse followed up with emails or calls. Adherence to a foot care program was 77% and the number of people practicing foot exams at home increased. Furthermore, with nurses checking in regularly, the need for outpatient services was greatly reduced. Total healthcare costs declined by $812 per patient over six months, according to Medscape. 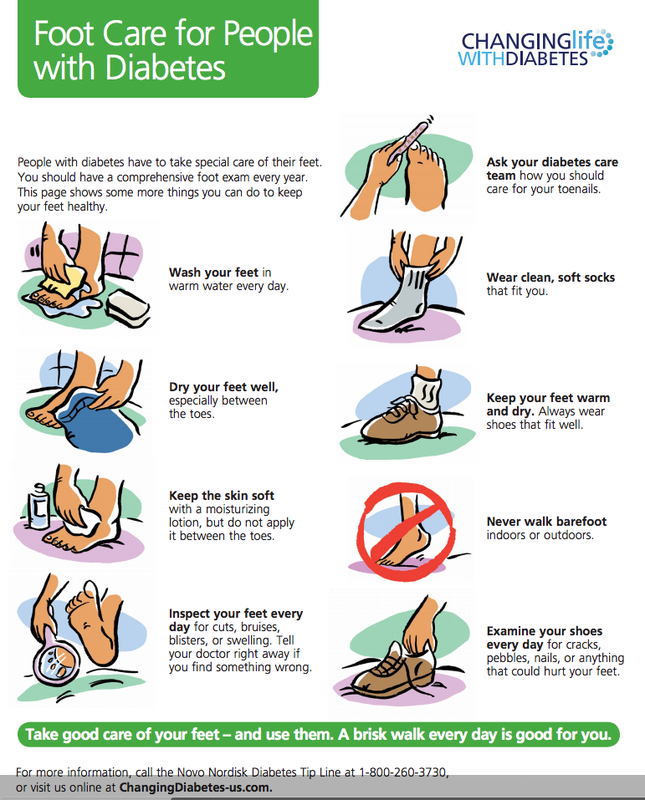 Foot care at home is essential in preventing expensive, agonizing injuries in diabetics. Forbes reports that the wound care market is set to explode, so we’re likely to see more products available to improve diabetic foot outcomes through wound care and infection prevention in the near future. We’re happy to offer patients an affordable way to keep the insides of their shoes clean and limit their contact with dangerous pathogens. Whether it’s a mobile app or UV light device like Sterishoe, having the right tools at home reminds diabetics to keep on top of their health.